"Irene Cahen Portrait" by Renoir, Oil Painting Reproduction. 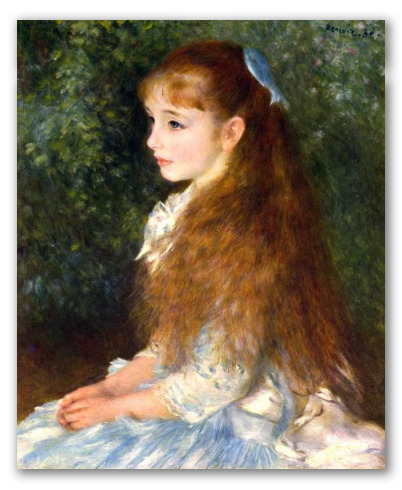 The painting originally entitled Mademoiselle Irène Cahen d`Anvers was created in 1880, by Pierre-Auguste Renoir. 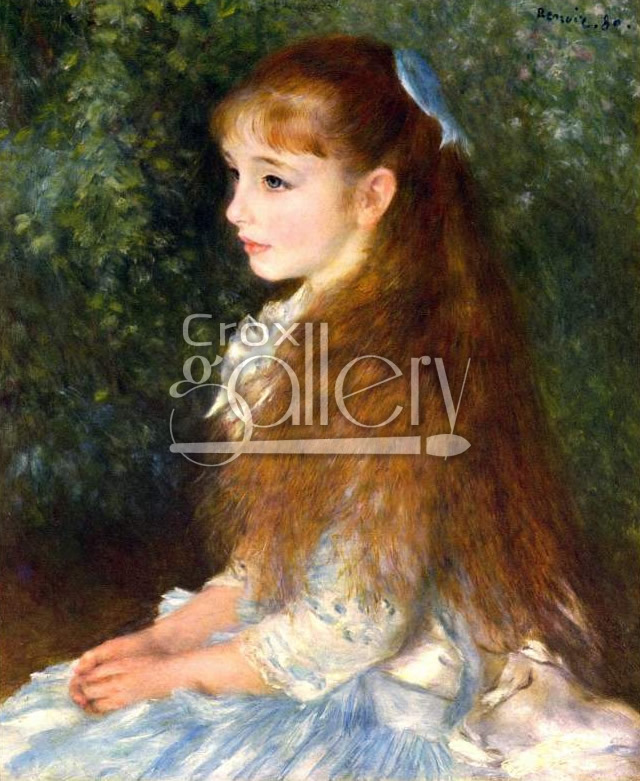 The painting depicts the outline of an 8 year-old girl sitting in a garden. She was the daughter of a Parisian banker of the time. Today the picture is displayed at the home of the Foundation E.G. Bührle, Switzerland.